Our Commitments | About | ChemTreat, Inc.
We keep environmental protection, including water reclamation, in mind when developing our products and practices. We strive to do more than just maintain minimal environmental regulatory compliance; we work to prevent pollution where possible. Additionally, we assist our customers in meeting their own objectives, minimizing adverse environmental impacts from their processes through the implementation of the most effective water treatment programs. Discover more about our commitment to environmental protection. 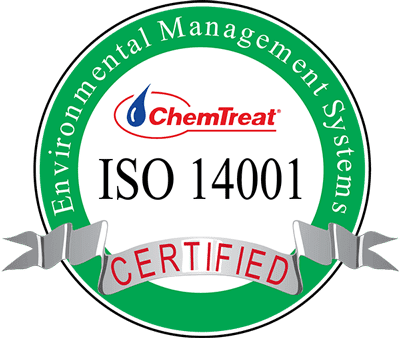 ChemTreat is committed to conducting its business in an environmentally responsible manner, in compliance with all applicable environmental, health, and safety laws and regulations, and in a manner that promotes and protects the health and safety of our associates, customers, and members of our local communities worldwide. ChemTreat implements this policy by integrating environmental, health, and safety requirements into its operations through the Danaher Business System. ChemTreat operates in accordance with the following principles in conducting our business. These principles support our environmental, health and safety policy. 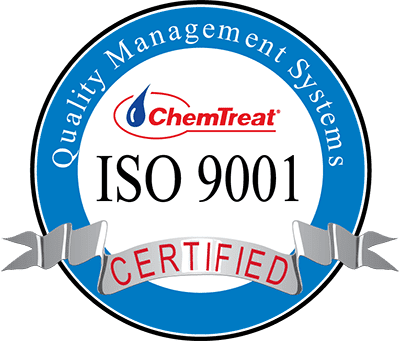 ChemTreat has emphasized the consistent quality of our products since the company was founded, and these principles were formalized into a written quality program in 1988. This system supports our corporate mission of developing partnerships with our customers through providing outstanding customer service, high-quality products, and superior technical expertise. Our commitment to quality is based on total employee involvement in continuous improvement of the entire organization. Building on this foundation, ChemTreat achieved recognition for the effectiveness of our quality system in 1994 by attaining ISO 9000-series certification at our manufacturing facilities located in Ashland, Virginia; Nederland, Texas; and Eldridge, Iowa; and for the corporate functions supporting our operations. We are certified to the current ISO 9001 standard for Quality Management and the current ISO 14001 standard for Environmental Management.